I’m makin’ stuff! JR jr’s Mural Part 1 and other things. 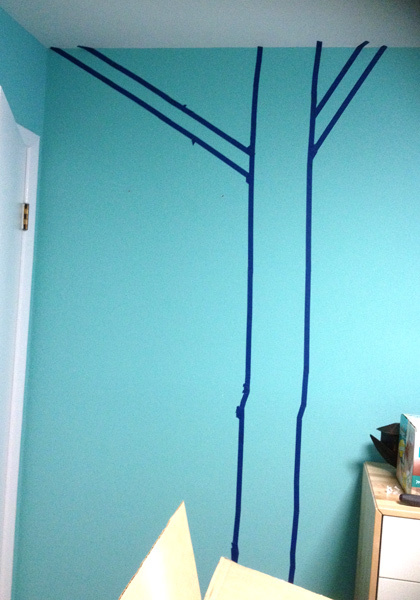 I bought a whole lot of blue painter’s tape and started laying out where I wanted the trees to go. Now I need to get an X-Acto knife and cut away anywhere the tape overlaps. 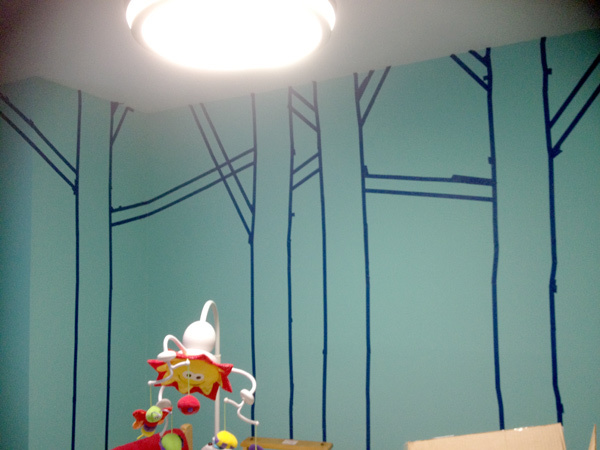 Then I can start painting in the white of the birch trees. I’m not thrilled with the layout of the branches, and I think I will pull down some of the existing tape and reposition it for better branchiness. 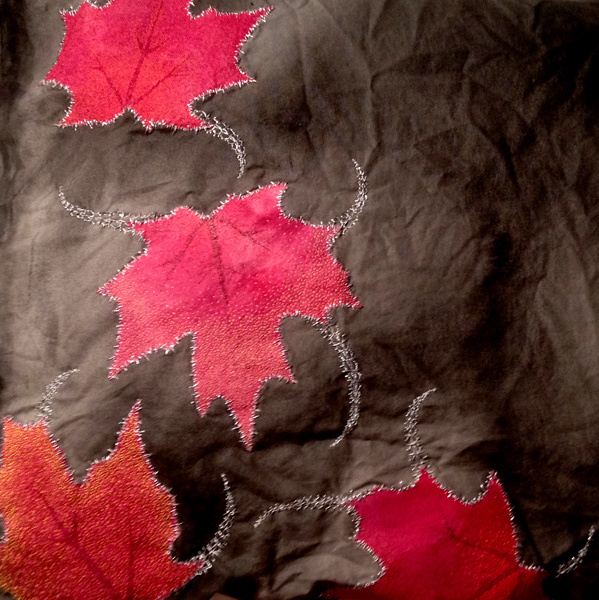 Second, I’ve been embroidering my leaf tapestry. I’ve been making frosty protuberances* emerging from the leaves, and I’m a little less than halfway done. ACCOMPLISHING GOALS HERE, PEOPLE. 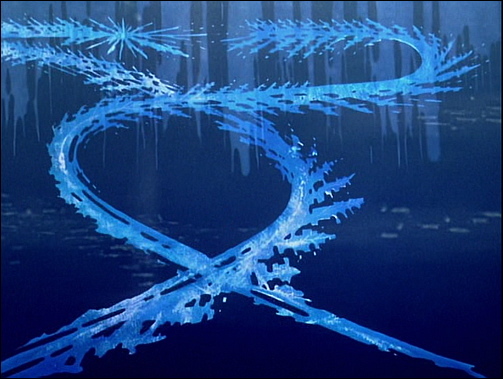 *I call them “frost-horns” which sounds exciting and Norse. 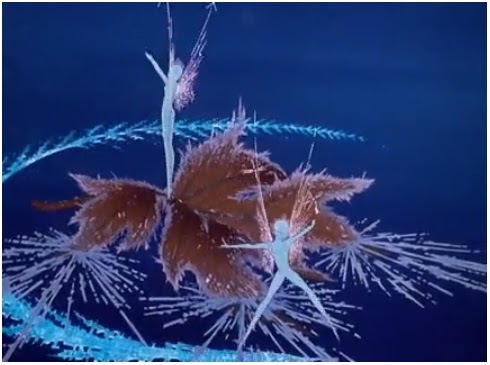 Also I realized that subconsciously I was totally ripping off one of my favorite childhood movies, Fantasia, the scene with the frost fairies. Disney has a lockdown on the video, but I found some nice screenshots of what I am referring to. This entry was posted on Friday, May 3rd, 2013 at 5:46 pm and is filed under Movie and Book Reviews. 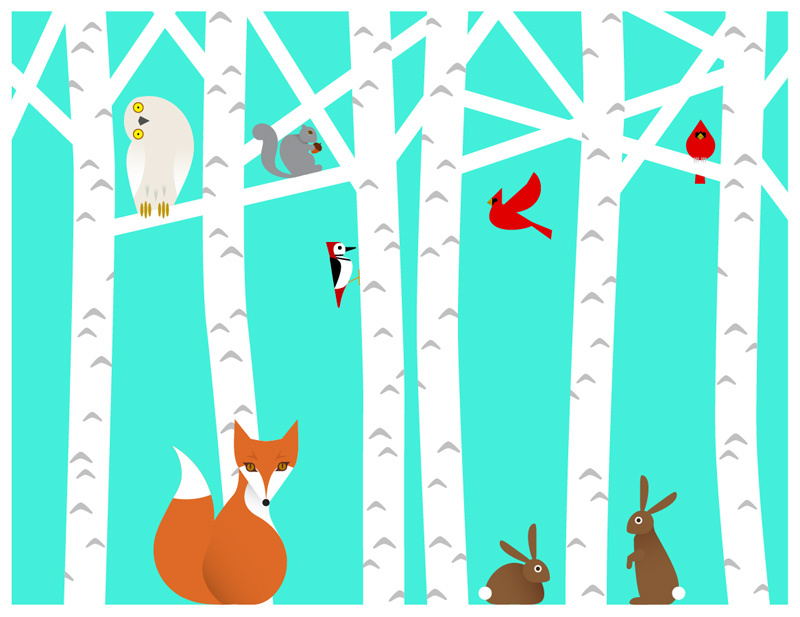 Possibly With Spoilers., My Art/Design/Business, Nature. You can follow any responses to this entry through the RSS 2.0 feed. You can leave a response, or trackback from your own site.